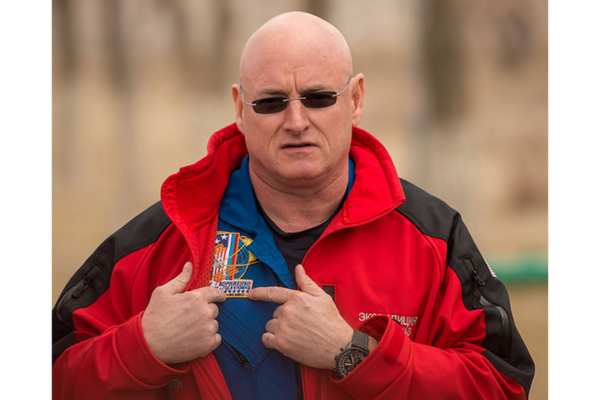 Astronaut Scott Kelly points to his embroidered badges. embroidered patches taking flight.. twice. Once didn’t go so well, but the second time’s a charm. 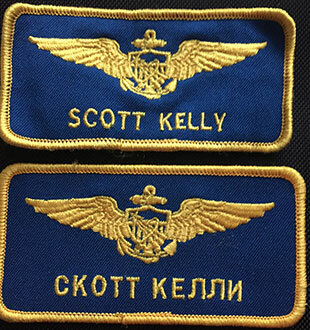 These embroidered name badges survived a rocket explosion and are now going back up in space. 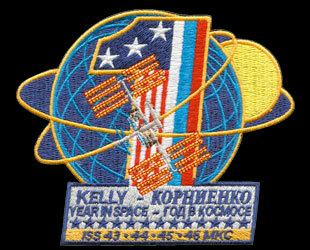 And he’ll be wearing all kinds of embroidered patches to his commemorate his record-setting year in space.